Hello guys, how are you all, i hope you are all well. 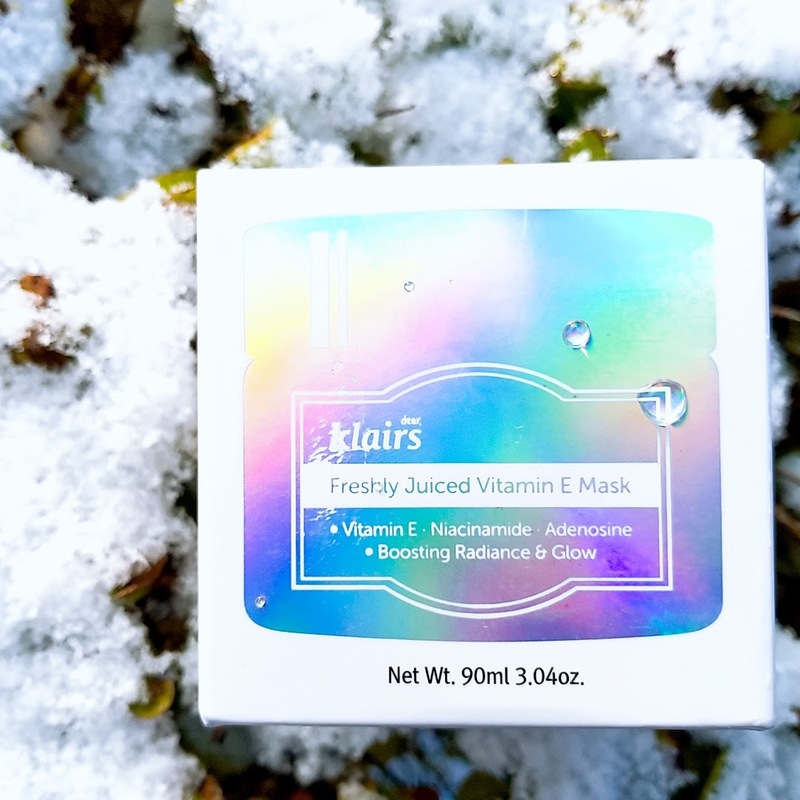 Today i am here to review Dear Klairs's Freshly juiced Vitamin E mask kindly sent to me by Wishtrend. Though this product was sent to me, whatever i am going to say in this post is my own unbiased opinion. 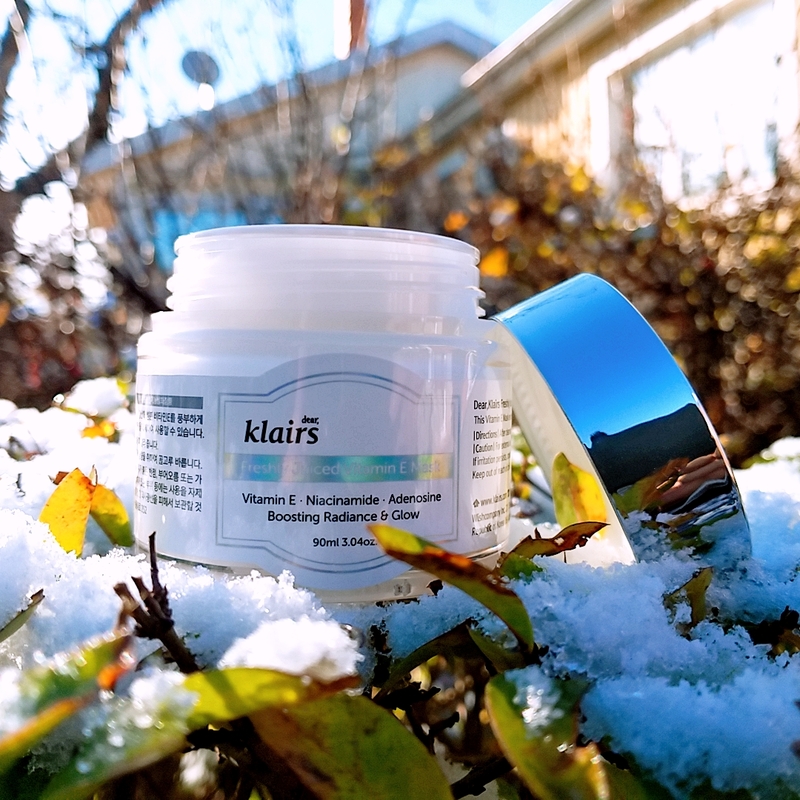 Klairs is a well renowned skincare brand, their products are alcohol and parabens free. 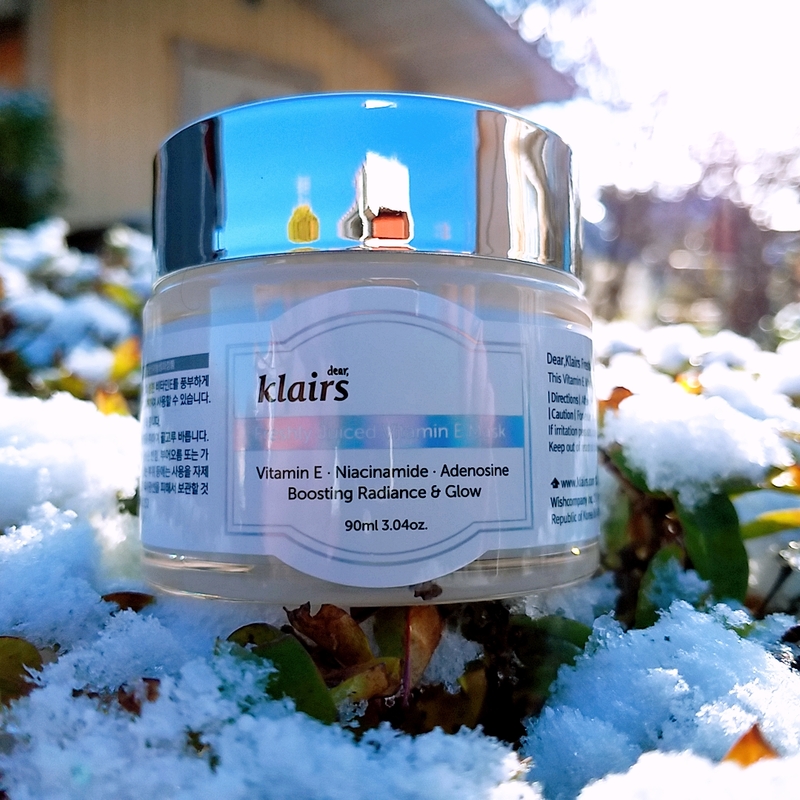 This Vitamin E mask is the first product i have ever used from Klairs so i was really excited to try the product when i received it. I really like the packaging of this product. The outer cardboard box has a holographic front cover. 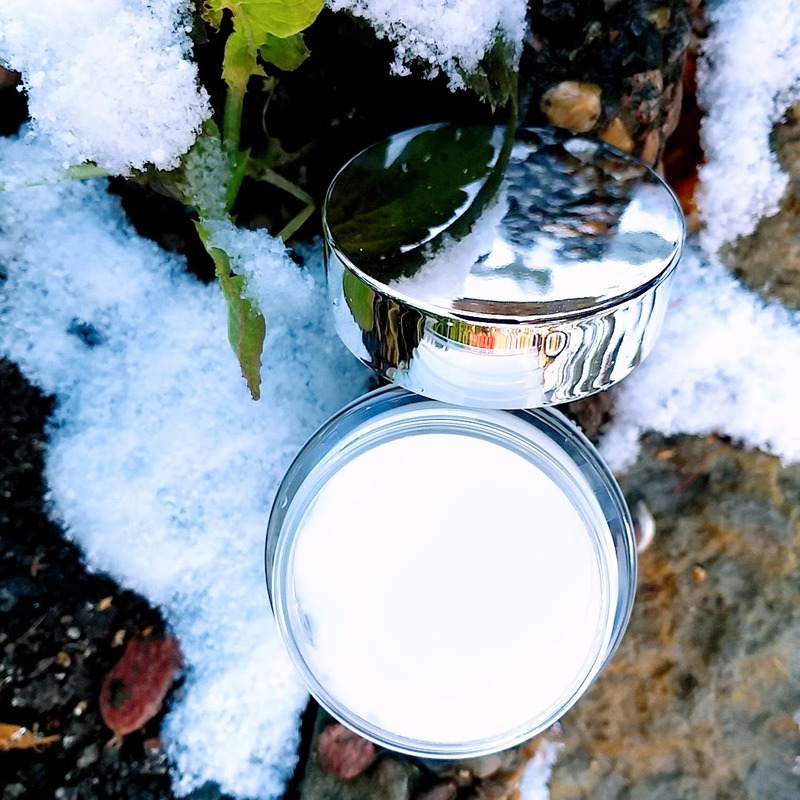 The product itself comes in a plastic jar with a silver cap. The jar also comes with a small spatula (I apologize , i forgot to take the photo of the spatula =p ) with which you can take out right amount of the product, which I find very hygienic. Vitamin E: Vitamin E is a powerful antioxidant which is effective at reducing UV damage in skin. 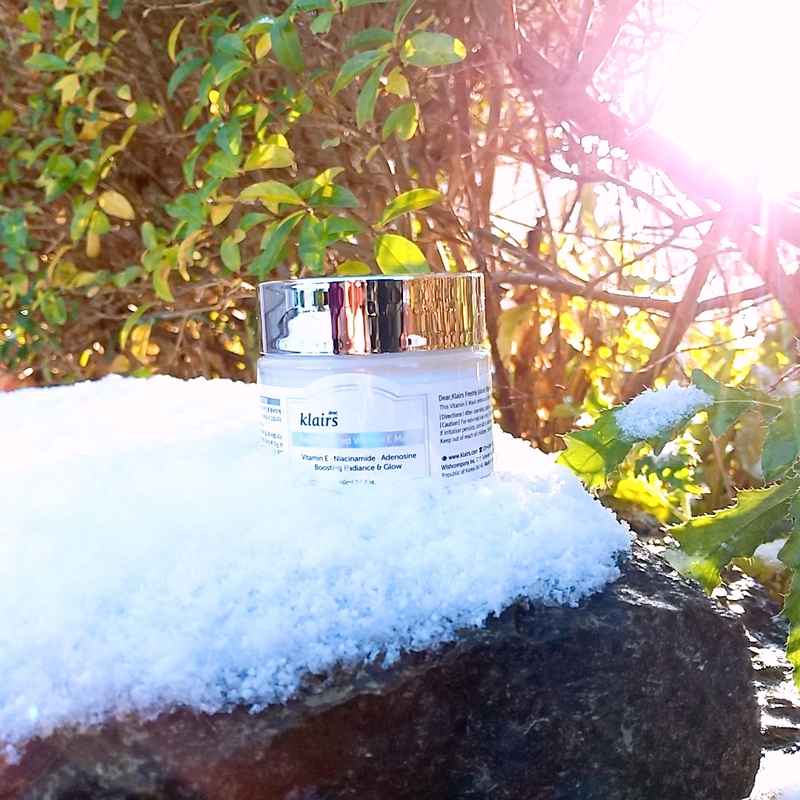 It also helps to reduce the appearance of scars and moisturize skin to make it look soft and supple. Niacinamide: Niacinamide helps in boosting skin's immunity. It also helps in getting rid of hyper-pigmentation and helps in minimizing wrinkles and fine lines. Adenosine: Adenosine helps soothe and restore skin . It also helps in minimizing wrinkles and making the skin look smoother and younger. I have been using this product since two weeks now and i absolutely love it. I have seen a huge improvement in my skin since i have been using it. I have been using this product as a sleeping mask and my dry as sahara desert skin looks so moisturized and smooth when i wake up in the morning. I have also noticed that this product is helping me reduce my acne scars which i was really struggling to get rid of since the last breakout which i had 2 weeks back! I have also been using this product during day time under my makeup as a moisturizer/primer as well because it gives instant smoothness and i have been loving how my foundation glides smoothly over this. Thankfully with this sleeping mask i haven't had any acne breakouts which is always a plus point for me as my skin is sometimes super sensitive. I am absolutely loving my skin for now, if i will notice anymore changes, i will surely update this post. For placing order or for more information about the product please visit Wishtrend. This is all for today, i hope you enjoyed this post. For more reviews like this, please keep visiting my blog . Thankyou.